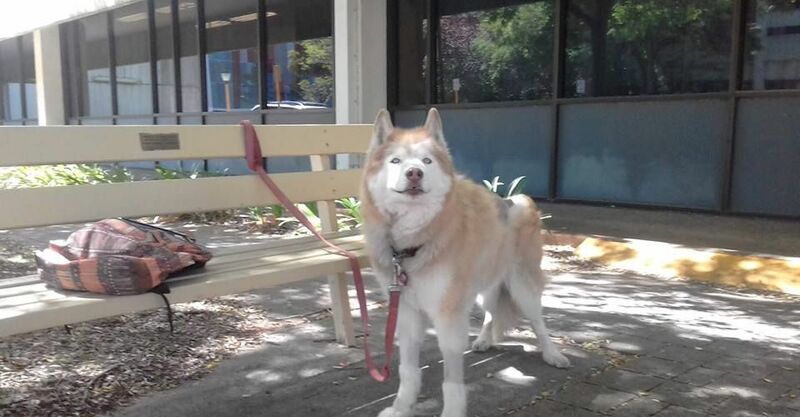 THERE’S been a happy ending to the dramatic dog-napping in East Victoria Park yesterday, with local rangers this morning recovering Mocca the stolen husky. Polly Walsh’s brown and white husky was stolen from outside the IGA store on Albany Highway about 4.45pm. Today, Ms Walsh said she had received a message while at work that a Town of Victoria Park ranger had not only recovered her dog, but returned it to builders working at her house. Security vision circulated widely on social media yesterday showed a woman wearing a red dress take hold of the dog’s leash and walk away from the IGA on Albany Highway. The woman drove away in a white Honda SUV. Ms Walsh said she had been inside the shop with her husband for just 10 minutes. “We walked over to IGA and tied him up at the back veranda,” she said. Ms Walsh was understandably relieved when she received the great news of Mocca being found this morning about 10am, especially because the 14-year-old requires daily medication. “Social media has been very helpful,” she said. The Town of Victoria Park said Mocca’s microchip and identification tags helped in swift identification.